Insurance fraud penalties are not uniform across the country, and are especially not uniform between different types of insurance fraud. Some types of insurance fraud are inherently more destructive than others, and therefore are met with harsher insurance fraud penalties. Generally speaking, soft fraud is met with less in terms of penalties than hard fraud, though this is not an absolute rule. As an example of one state's insurance fraud penalties, consider New Jersey's policy. For health care insurance fraud, the perpetrator would be facing a sentence of up to $150,000 in fines, along with a stay in jail of 3-5 years. If the perpetrator is actually a medical provider, then that jail time can be escalated to 5-10 years. Unemployment insurance fraud, on the other hand, is treated as if it were a theft crime, with the punishment depending upon the exact amount of money stolen. A false insurance card in an auto insurance accident can cost a $10,000 fine and 18 months in jail, and attempting workers compensation insurance fraud can result in the same. Simultaneously, in New Hampshire, there are different insurance fraud penalties. You can be charged with a Class A or B Felony, or a Class A or B Misdemeanor. A felony is much more likely to be applied to perpetrators of hard fraud, who likely planned out the crime, and based it on a more open deception. Soft crime, which is more an exaggeration of a legitimate claim, is likely to be termed a misdemeanor. Class A Felony charges can have maximum terms of 7 and 1/2 to 15 years in jail, along with fines of $4000, or no more than double the actual ill-gotten gains of the fraud. A Class B Misdemeanor, on the other hand, will only hit the perpetrator with a fine of $1,200. The two middle charges span the two poles, setting up a spectrum of severity to be applied as insurance fraud penalties to any particular insurance fraud case. In Michigan, a law was passed to impose significantly harsher insurance fraud penalties, to discourage would-be perpetrators from the crime. 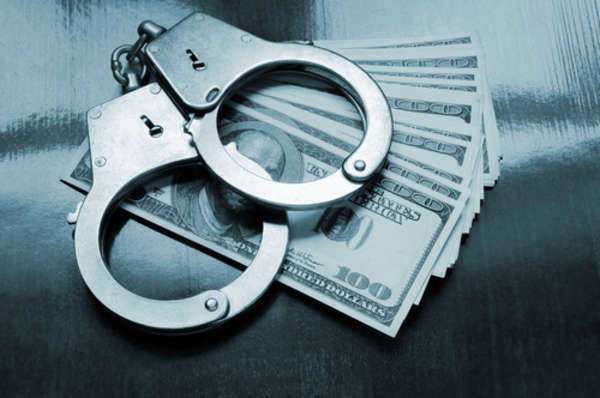 The law makes it a full-out felony to perpetrate any acts of insurance fraud, and those who are successfully convicted of insurance fraud can be sent to prison for a maximum of four years, and then have to pay a fine of $50,000. Unfortunately, the primary problem facing the implementation of all of these insurance fraud penalties is that of insurance fraud detection. Insurance fraud often goes completely undetected, whether because the values are too small to really attract the attention of any fraud-seeking systems, or whether it's because the insurance companies decide that it isn't worth it to pursue an investigation of fraud for this particular fraudulent claim. Insurance fraud detection systems are not foolproof, and even when they do function correctly, it is possible that the insurance fraud charge will not be brought to law enforcement's attention, and thus, no insurance fraud penalties will ever be brought to bear.